Korey’s Spanking Fiction Has Hit the Shelf! 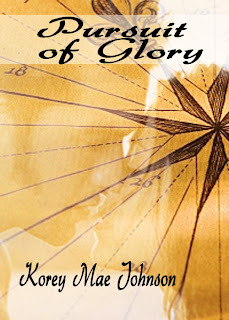 After nearly two years of sitting in Bethany’s Woodshed’s member’s area, my first novel has hit RomanticSpankings.com! I’m really proud of it. It’s a doozy at 21 chapters, and I’ve priced it low so that everyone can get a lot of spankings at a high quality for their money. I REALLY need your support on this one, guys. I can’t say how much I’d appreciate your buying the story, and I really don’t think you’ll regret it. Not much money comes to me, but I want Bethany to ask me to write another and keep my writing career going. And I’d rather her ask me to do another than me have to beg. So, essentially it’s a spanking naval/war fantasy. I wrote it after reading a bunch of the Patrick O’Brian series and watching too much Horatio Hornblower. But although I’m biased, and it’s my baby, I think it’s quite good. I’m not very good at writing “boring”. Once a part starts to get slow, you’ll see it end and pick right back up into the action, so hopefully there’s never a dull moment. Please, give it a try! Read chapter one: Click HERE for Chapter One ! Tomorrow, I’ll post one of my favorite chapters so you can really get a glance of the story’s spanking quality!